Re: Money, Friend or Foe? 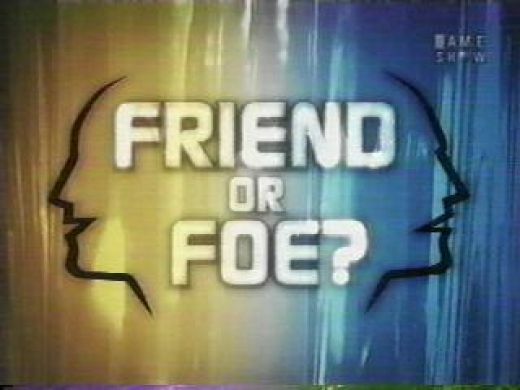 There was a television game show that used to air on the Game Show Network called “Friend or Foe.” Center stage on the show was what was called the Trust Box. Each contestant would get some time to tell the other why they should be considered a friend. Then, each would put one hand inside the box. Inside the box they each have a button. If one doesn’t press the button, he or she is a friend. If one does, he or she is a foe. 1- friend and friend- they split the money. 2- friend and foe- the foe takes all the money. 3- foe and foe- the pot is lost. I’ve only watched the show a couple of times but I’ve never seen anyone win money… ever. Both contestants are usually so afraid of being duped that they each press “Foe” and leave penniless. Observe the way of the foe and the way of the friend: Lot chooses the way of the foe. In Genesis 13, verse one, we learn that Lot journeyed from Egypt with Abram. I think he got one of his first glances of high society. The small town boy went to the big city, and he liked what he saw. Verse two 2 informs us that Abram, his uncle, was rich with lots of livestock, silver and gold. Verses 5 and 6 tell us that Lot’s wealth is beginning to grow as well. It isn’t too long before they sense the need to separate. The land could not sustain Abram and Lot dwelling together, because the Canaanites held the best parts, so the servants of these two men had to scrap for water and food in the rest. (v. 7) Pasture was at a premium in the bare limestone hills. So Abram asks Lot to choose a place to take his wealth. Lot looks around. His eyes are immediately attracted to the valley of the Jordan. It is green. It is lush. The cities of the plain, Sodom and Gommorah, gleam in the sunlight. “I’ll take that way!” Lot exclaims. Author Ben Patterson writes: “Abram’s nephew… Lot appears to be the man with all the experience and Abram appears to be the man with all the money. At first glance it seems that Lot walks away with all of the money and all Abram walks away with is a very bitter experience.” But that is only what it looks like on the surface. Verse 10 reminds the reader that “…this was before the Lord destroyed Sodom and Gomorrah.” More on this later. Contrast Abram who chooses the way of the friend. His faith actually helps to solve strife. Abram gives Lot the free choice of the land. This was not something he needed to do. Abram had the right to make the first choice. But faith does not selfishly seek it’s own desires. Faith doesn’t hoard in fear, but gives with liberality. Abram displays trust in a God he knew would supply his every need. We see here a contrast between Abram and Lot. Abram was told to lift up his eyes and look. (13:14) Lot looked up himself. (13:10) The Lord said he would give Abram the land. Lot just took it. Joy in living comes when we don’t demand but humbly receive what’s coming to us. Receiving what God gives us with thanksgiving floods our hearts with joy. So… Regarding Money: do you choose to be a friend or a foe? Generosity marks the path of joy. I don’t believe I’ve ever shared this on my blog, but I love Oldies. I listen to the 60’s on 6 more than any other channel on Sirius/XM and have over a thousand songs on my Ipod from the 60’s and 70’s. (I’m listening to Fats Domino‘s “I Want to Walk You Home” as I type this.) Many of my friends also know that my specialty is quirky stories about these songs. I hope some day to start a blog called NOTABLES to feature some of these stories. That is dedication! To hit and sustain the notes God is calling us to sing in the chorus of life also requires such dedication. Peter says that we have each been given a gift. We are to be good stewards of that gift. In my analogy, we have all been given a voice and we are each called to keep that voice in tip top shape. Then Peter reminds those that have speaking gifts to speak as though they were speaking “the utterances of God.” Sloppy or ill prepared oratory isn’t going to cut it. Peter then reminds those that have serving gifts, to serve as though God were powering their efforts. A half-hearted sense of duty will not sustain you. Why not just go ahead and hit that (grace) note of yours and then sustain it! Put everything into it. Give it your all! Maybe you have be doing your particular ministry in your church for a while now. Maybe you have it down cold. You don’t have to put as much effort into it as you did when you started. It practically runs like it’s on autopilot. Do some evaluation this year. It might not be on autopilot… it could be on life support! Stretch yourself and your faith. Go for that note! Sing it with all the strength that God supplies you. Enough said…. I Gotta go…. The Classics IV are now singing “Traces.” Love that song! 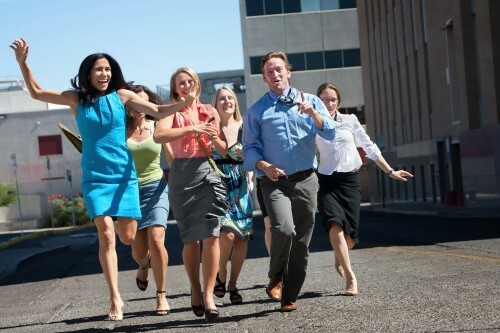 Here Comes the Nominating Committee… Everybody Run! Now, I wonder what it is they are praying about. If it is for them to make an informed decision about where to serve… to teach a class or become a youth sponsor or serve as an usher,… then that is fine. What I hope they don’t mean is whether or not they should serve at all. The “common good” requires everyone to contribute. If we don’t all chip in for the pizza… somebody will be left holding a hefty bill. (This has happened to me… I have been a youth minister.) If we don’t all bring our instruments to the recital… Beethoven‘s 5th is going to sound pretty awful instead of pretty awesome. If we don’t all bring something to the potluck… not everybody is going to get fed! I had a lady in a former church that came to the pot luck without a covered dish. Nobody was going to say anything to her, but she offered this excuse anyway: “I was going to make a fruit salad, but God told me not to.” Really? God wanted there to be less food at the fellowship meal? The logic here escapes me. But this is the same logic for believers that won’t minister because they need to “pray about it.” Whatever your reason for a ministry vacation (time off for yourself… the desire to draw closer to family… to spend more time with God… etc. ), know that the Bible is clear… the common good outweighs the good of the individual. God has called you to a family! Do something for me this Sunday. When you see that Nominating Committee member in the Sanctuary… approach them and ask: “Where can I best serve in 2014?” You just might be the fruit salad they are looking for.